/ How to Ask eBay Seller A Question? 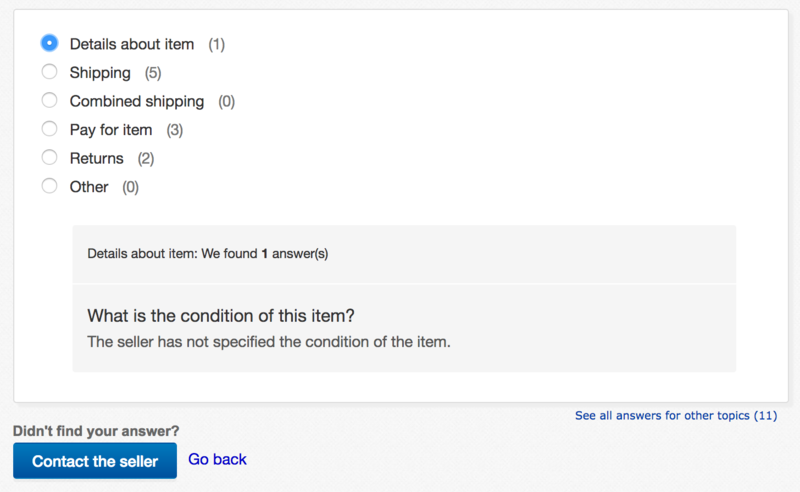 How to Ask eBay Seller A Question? I’m really interested in a collectible doll that’s for sale on eBay right now, but have a question I want to ask the seller before I bid. How do I figure out their email address on eBay to do so? Good on you for identifying that eBay is a great place to find and buy collectibles! While there are knock-offs, replicas and counterfeit products that show up on eBay too, a savvy buyer can sidestep the risk and really expand their collection while connecting with other passionate folk too. Indeed, eBay started out as a place where Pez Dispenser collectors could buy and trade their treasures! Over the years, however, eBay has definitely changed quite a bit and while even a few years ago there was a “contact the seller” link that was front and center on each listing, that’s all changed now. Best to think of eBay as a self-contained marketplace so you really don’t want to email or communicate with the seller — or a buyer! — outside of the eBay framework. It can also be a violation of the eBay user agreement, for that matter. You can see that the seller is “sakic92710” with an impressive 2317 feedback, all 100% positive. Click on the linked words “Ask a question” to proceed. If others have asked questions already, the question and answer generally show up in this area too, so if it’s really popular, this is one way to see that others are engaged in discussion too. I’m interested in the actual dimensions of the concert ticket replica, so that would go in the “Details about item” category. Once I check that radio button you can see that it shows the rather confusing message that there’s 1 answer, then shows that there isn’t actually an answer regarding the condition of the item. Ah well. I just want to ask a question anyway! You can see that if you want to have a copy of the email sent to you, that’s fine. Note that it’s all relayed through eBay so that the seller won’t get your email address and you won’t get their address either. Handy if you get into any problems with a seller down the road. I’ll write my question – and I recommend being kind and polite to improve the chance of a response – and click “Send“. Note that you can’t include your email address, phone number or similar. That’s for your protection, but it’s to also protect against fraud. and… the email is sent!